To Seminar—an exhibition evolving over time through a series of performative and discursive public meetings—inquires into the practices of learning about, with, and through art today. It asks how we can move beyond the present-day ramifications of the so-called educational turn in contemporary art and toward a collective pursuit of learning with a real relation to social praxis. 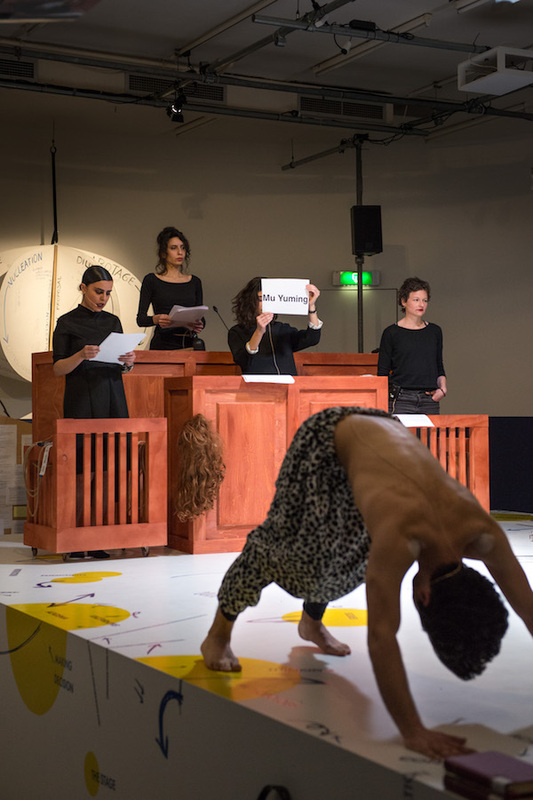 The project unfolds as a contemporary reading of philosopher Roland Barthes’ essay “To the Seminar” (1974). Engaging with the notion of the seminar—as a concept and as an intimate and complex practice—as something pivotal for learning today, To Seminar transforms the noun into a verb in an attempt to activate its “unpredictable rhythm,” proposing it as a tool for intervention into the settled practices of education today; in art and beyond. For what was once celebrated as the “educational turn” today turns far too often into either routine initiation into a knowledge economy or cognitive capitalism, or into the placatory emptying of the meanings of “knowledge production,” “community,” and “method.” If, like Barthes’ time of writing, ours is a present immersed in “a certain apocalypse in culture,” the true task of learning is not to normalize this present’s morbid symptoms as has become customary, but rather to collectively think through and act out alternative imaginaries. With artists, theorists, and other cultural practitioners, To Seminar reengages the three conceptual spaces that intersect when a seminaring takes place—institution/ transference/text—and seeks to recompose them into a balanced comradeship for renegotiating the conditions of the contemporary. To Seminar has been conceptualized by Henk Slager. 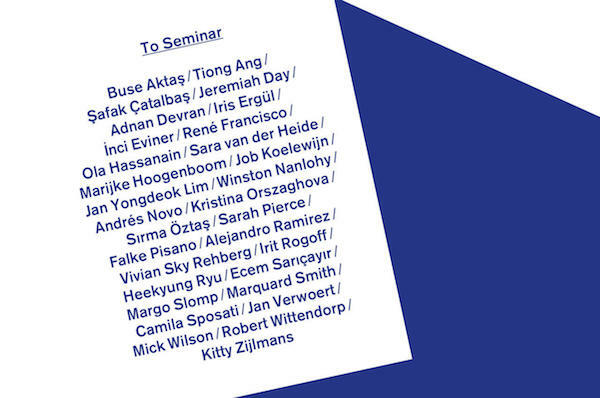 Seminars are realized with contributions by numerous graduate art programs in the Netherlands and beyond. A publication will be published by Metropolis M Books in summer 2017. To Seminar has been made possible through the collaboration between BAK and MaHKU (HKU University of the Arts, Utrecht).